All our plasterers are fully qualified, holders of CSCS cards, CIS registered and hold asbestos awareness certificates. East Yorkshire Plastering is a Hull based plastering and dry-lining contractor that offer fully qualified and skilled plasterers in Hull and we cover the whole East Yorkshire region offering full plastering services to domestic, commercial and industrial clients. We can offer you full or part services, whether you need just a single wall plastering, a full new build project or you require a rip out/renovation service, we can cater to your requirements. All our plasterers are fully qualified, holders of CSCS cards, CIS registered and hold asbestos awareness certificates. Our mission is to provide affordable, high quality work and service that meets or exceeds your expectations, all the time maintaining high levels of professionalism and honesty. We are always happy to tender for larger contracts and we contract to companies such as Thompson Construction (Yorkshire) Limited, Sirius Academy, C4DI Hull, Wykeland Group, Crestwood Ltd and Middlegate Europe Ltd.
Email, text or call us with your room or wall dimensions and a brief description of work required for an estimation within minutes. Tender invitations for contract work are always welcome and will add to our ever growing profile of clients. We can offer you teams of skilled subcontractors for any project. Excellent job of plastering and skimming our kitchen. The plasterers took pride in their work, was courteous and completed the job on time and was reliable. We are really pleased with the quality and cost of the job. 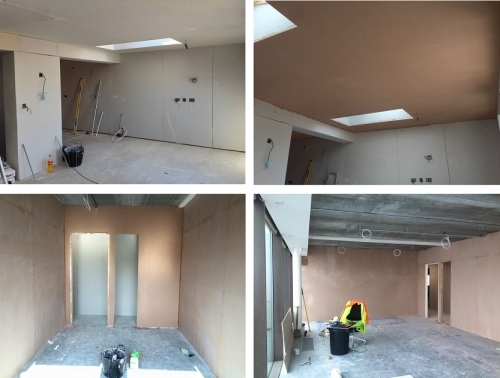 We hired East Yorkshire plastering to take on our plastering contract for the 3rd floor fit out of the new C4DI building opposite the Deep in Hull. The plasterers did a great job paid close attention to detail and specification. The job was completed within the specified time frame and was well within the budget. We will continue to use this firm and would recommend them as a subcontractor.